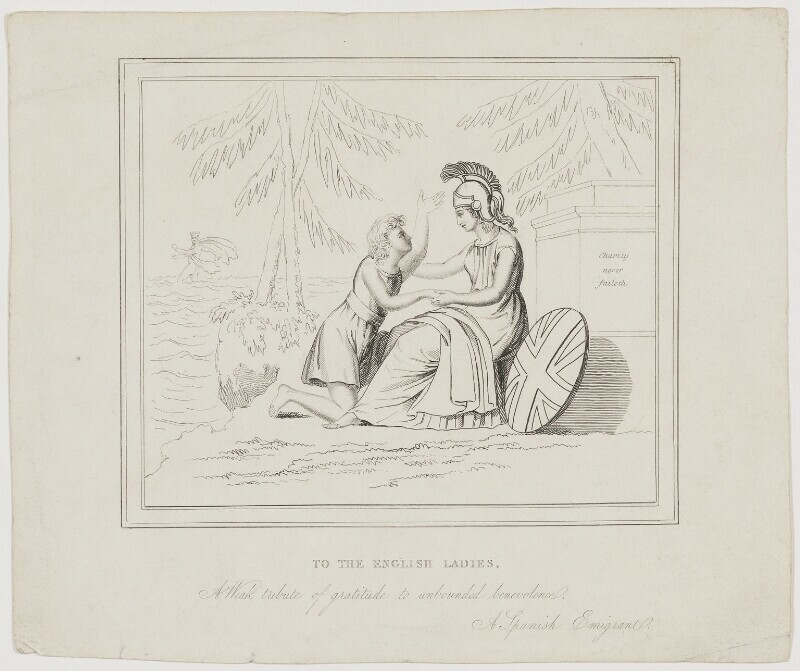 Britannia, Allegory of a nation, emblem of empire, and patriotic icon. Sitter associated with 15 portraits. The 'Mary Anne Clarke affair' erupts in which Clarke, mistress of Frederick, Duke of York, was said to have used her influence with him to run a military promotions racket. Championed by radical government opponents, it ends in the Duke's resignation as Commander-in-Chief of the army. Sculptor John Flaxman begins Nelson memorial for St Paul's. Richard Trevithick demonstrates model railway travelling at 12 mph. Peninsular War then begins under Sir John Moore and Arthur Wellesley, later Duke of Wellington, aiming to protect Portugal and exploit Iberian hatred of French tyranny.